This fly is called the Weapon of Mass Destruction (WMD), and it is exactly that. 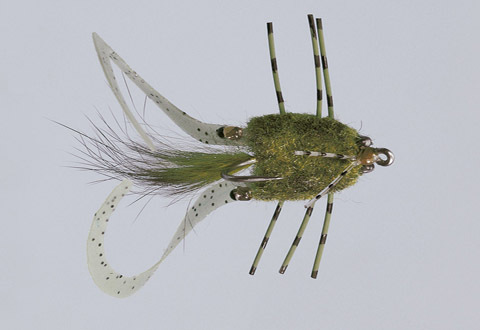 It is definitely a bit of a ‘FLURE’ (half fly, half lure) with some of the components on it, but man it operates. 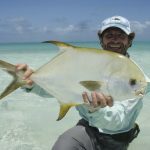 We have seen a couple of patterns come through Alphonse Fishing Co. with curly tails and noticed that it got a lot of attention from especially the triggerfish. 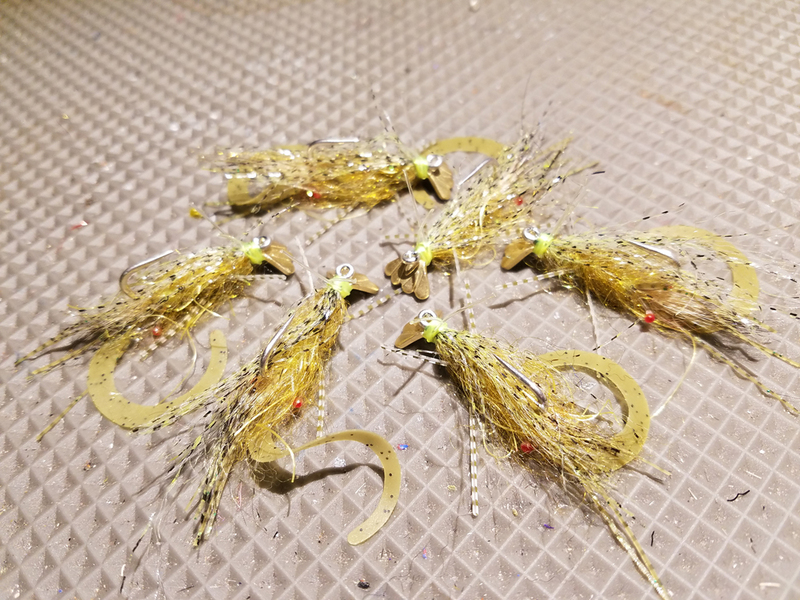 With this in mind I went home one off season and invested in a pile of the curly tails and came back to Alphonse with the intent of creating the next trigger killer. 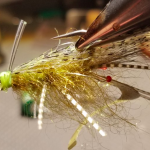 After a couple versions of the fly it finally came into its own as a shrimp with incredible movement, which also gained interest from the other target species, including parrotfish, permit, bluefin trevally, and of course bonefish. 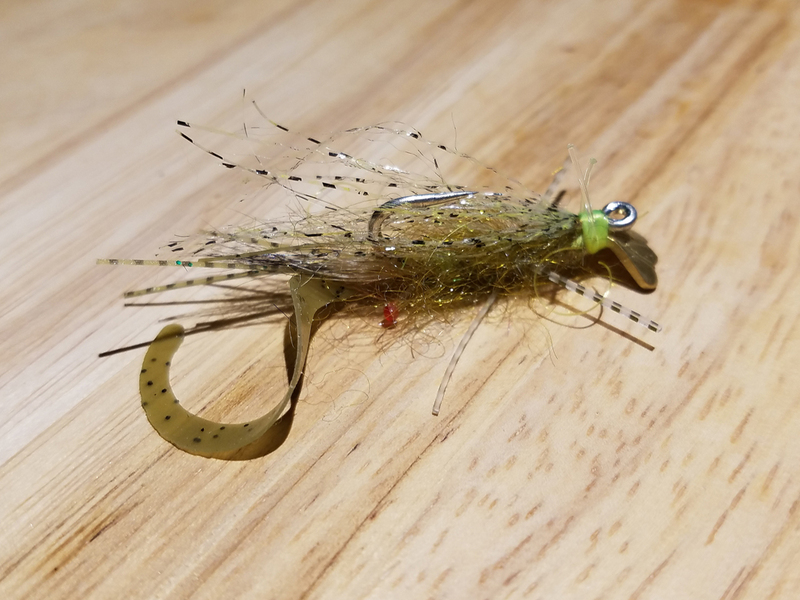 I am always bummed about a good fly that gets munched quickly by triggers and deems it unusable so I put it on a very stout hook and incorporated a secondary fur tail for when the curl tail is bitten off. 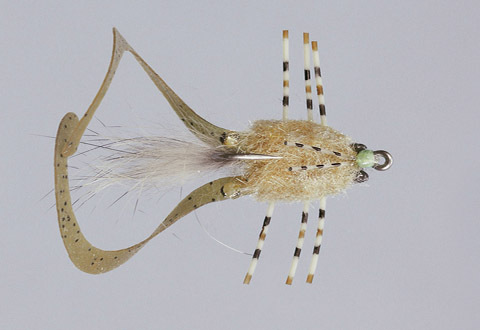 The weight is the new shrimp/cray tail by Flymen Fish company, which gives the fly a very nice drop down, activating the tail to do its twisting thing. 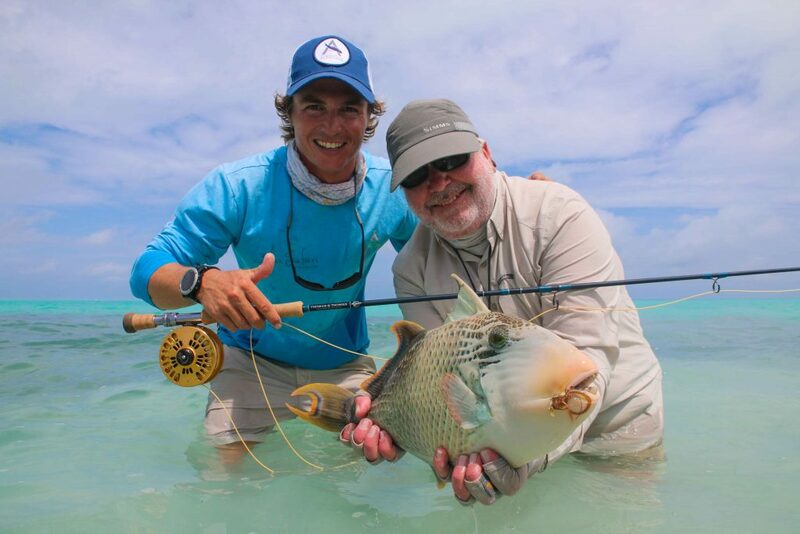 Triggerfish are the chiefs of investigation when it comes to fly presentation and static movement (moving on its own, without your assistance) has been the key to a lot of successful triggerfish flies – the WMD has good movement just lying in current. 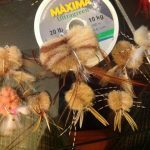 The WMD is tied in olive and tan, but the sky is the limit, i’m sure more variations are on their way! For the Step-By-Step, click here. 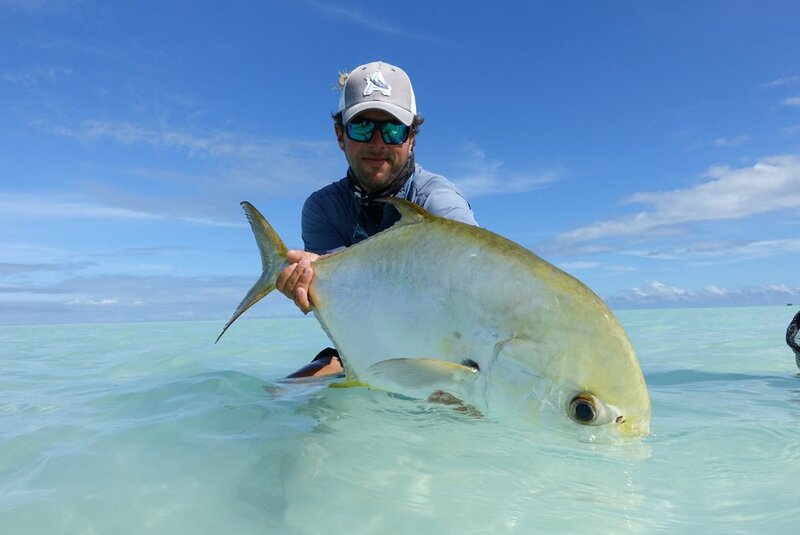 Alec Gerbec’s interest in fly tying and tricky tropical saltwater species in the Seychelles has enabled him to fine tune methods and so work out and catch some of Alphonse’s most prized fishes. The mystery WMD stuck in a trigger’s maws. 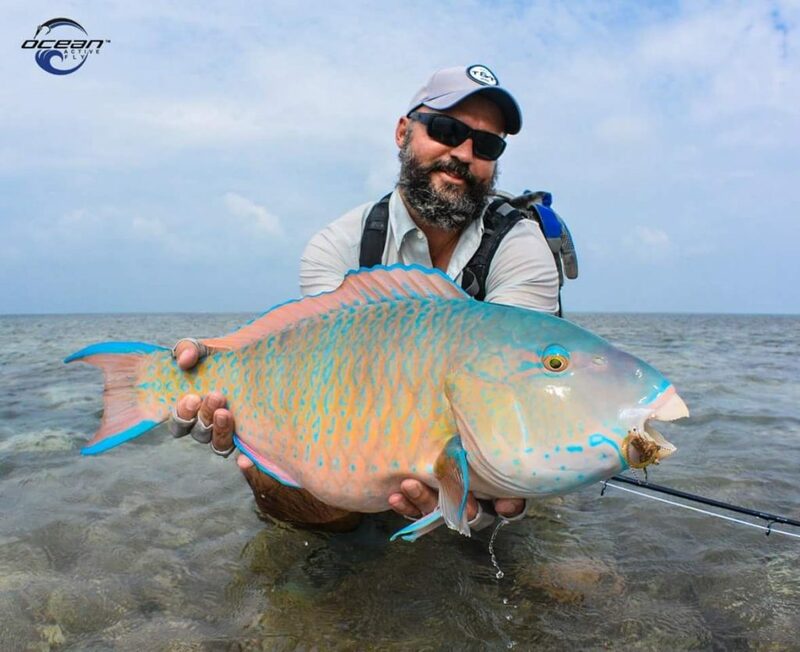 Other Alphonse flats species, like parrotfish, also took interest in the WMD.